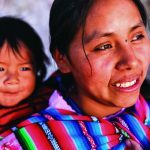 A systematic review of programmes to promote the rights of women to high quality maternal health services has revealed only a small minority of projects that regard the family as an asset. A 2010 report by WHO recommended that all service improvement projects should engage families. But in the other 23 studies covered in the review, family members were not engaged – only the women themselves and, in some cases, health professionals and the wider community. The review article recommends that quality improvement campaigns should be designed in partnership with families and communities as a precursor to mobilising their support.